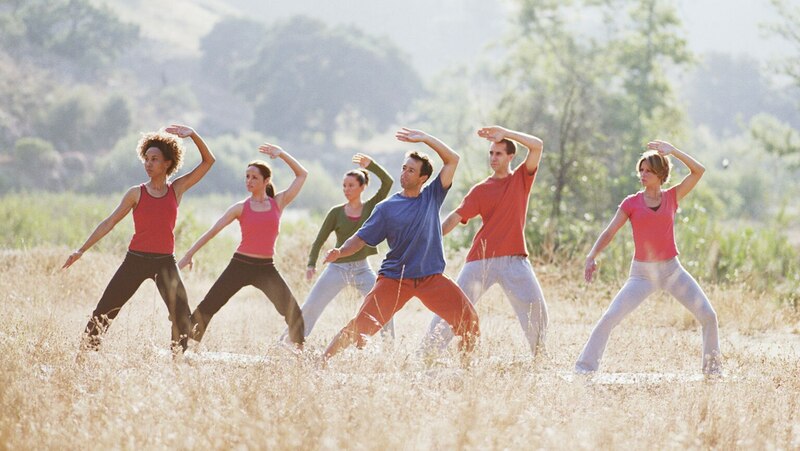 After warming up with a final qigong exercise, analyze how tai chi is helping millions in the Western world adapt to the challenges of 21st-century life. Then learn the concluding exercises of the short form: Deflect Downward, Parry, and Punch; and Closing the Door. See how everything you’ve learned comes together while performing the entire 24-movement series. Loved doing this Tai Chi. I give it a four star because of the following: First, it is missing the full sequence of the 8 pieces of brocade, unless I zoned out during that part! There is a sequence done on 2 different days for the first four pieces but the full sequence of 8 is not done. Second, I found it a bit tricky to follow along with some of the sequences. The black on black made it a little bit challenging to see which arm/leg is where. David keeps saying 'this arm' and unless you are looking or know, you can't be sure if 'this arm' refers to right or left. I would like to suggest having a red band on the right ankle and right wrist, on the clothing to help with that. Not having a mirror that he is standing in front of also challenges my dance class habit of looking in the mirror at the teacher. All in all, you will get a good intro to Tai Chi and energy, so these are minor details.